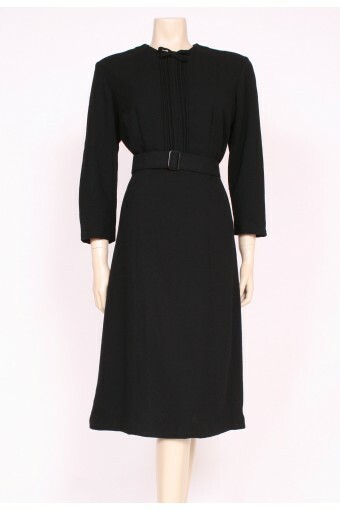 Really stunning 1940's dress, perfect for smart occasions or for work, a great collectors item too, great 40's dresses like this are getting harder to find! 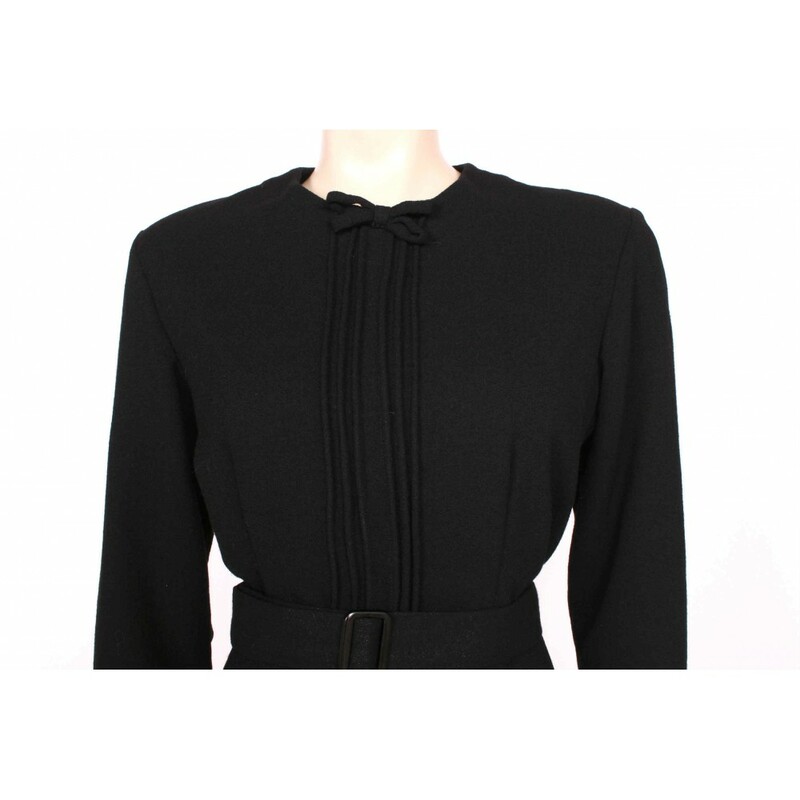 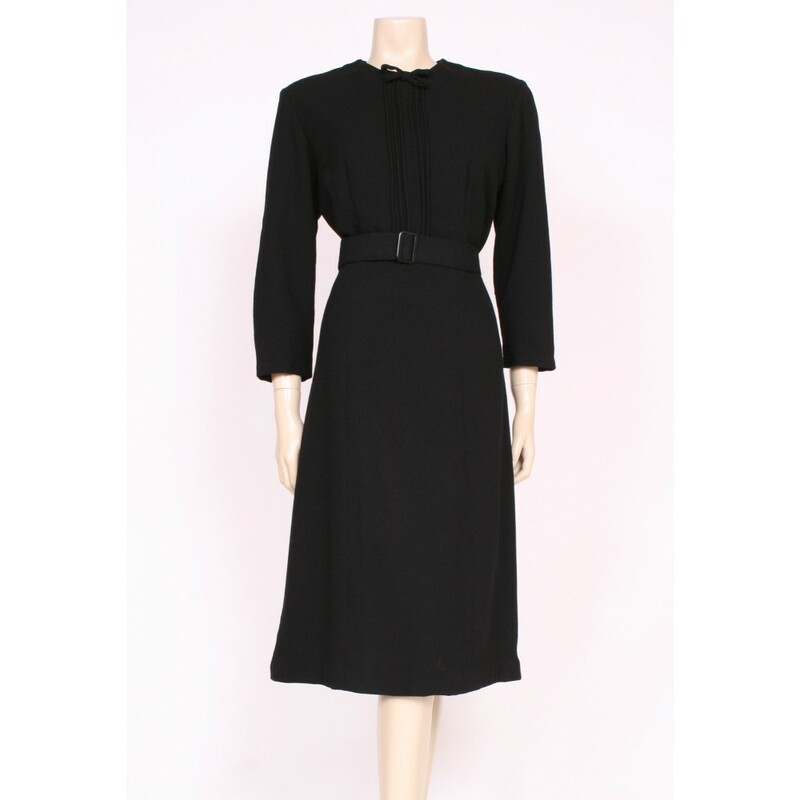 Gorgeous black wool crepe, silky lining, beautifully hand made, classic style with 3/4 length sleeves, modest neckline, pinched piping detail and bow at the chest and a slim belt too. 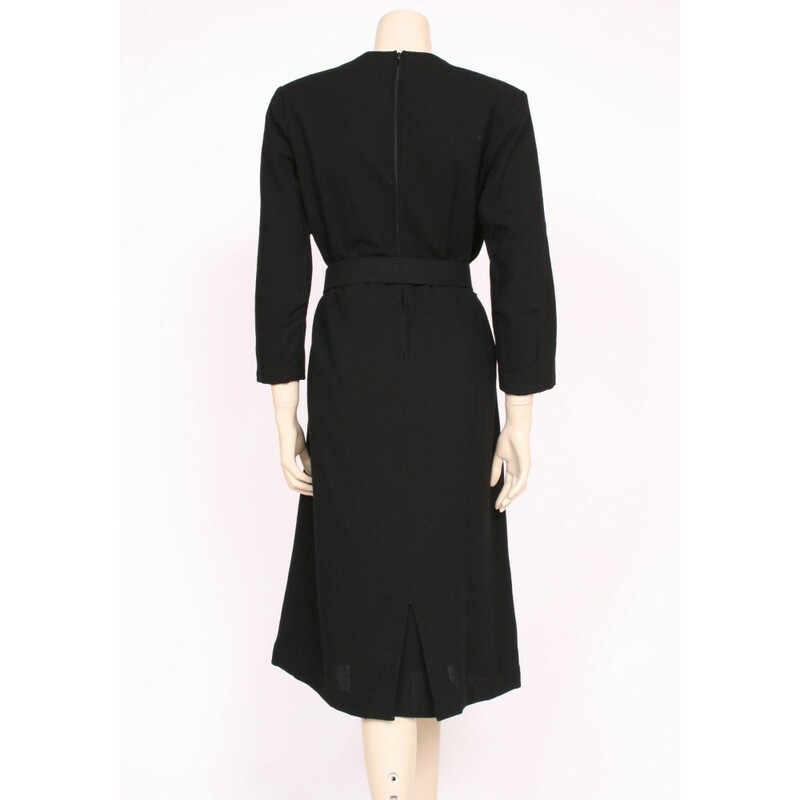 Size UK 18; bust 42-44", waist 36", length from waist to hem 28"